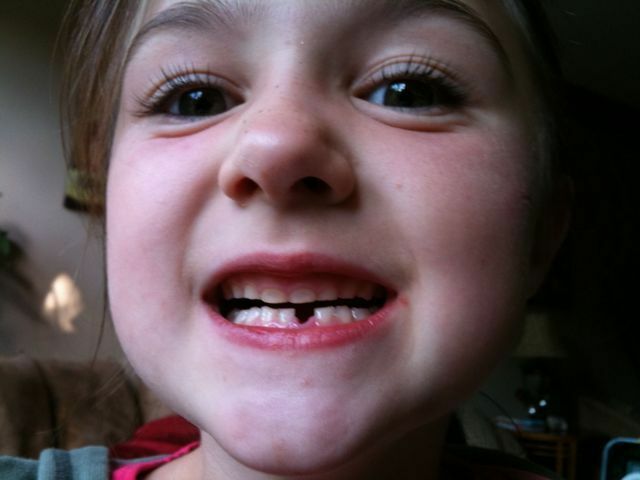 Halee finally lost her 1st tooth this evening. She has had this tooth that was loose for the past week. She kept working on it but would never let Kristee or I yank it out for her. She was so excited to finally lose her very 1st tooth. 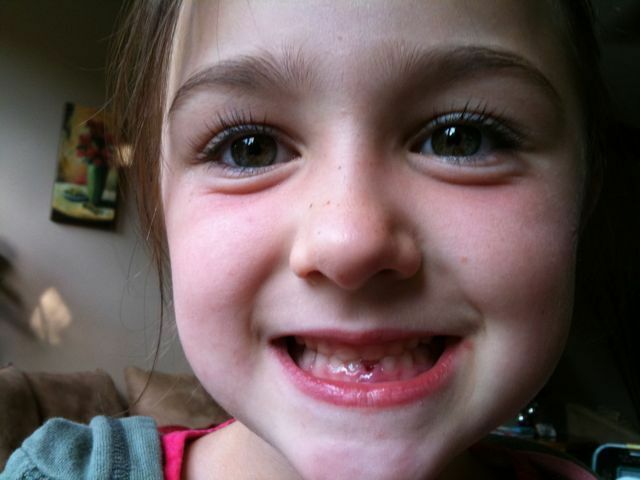 She had a friend in kindergaten last year that had lost several of her teeth so she was ready to lose one of her own. I posted a video on YouTube of her reaction after losing her tooth, you will have to check it out.